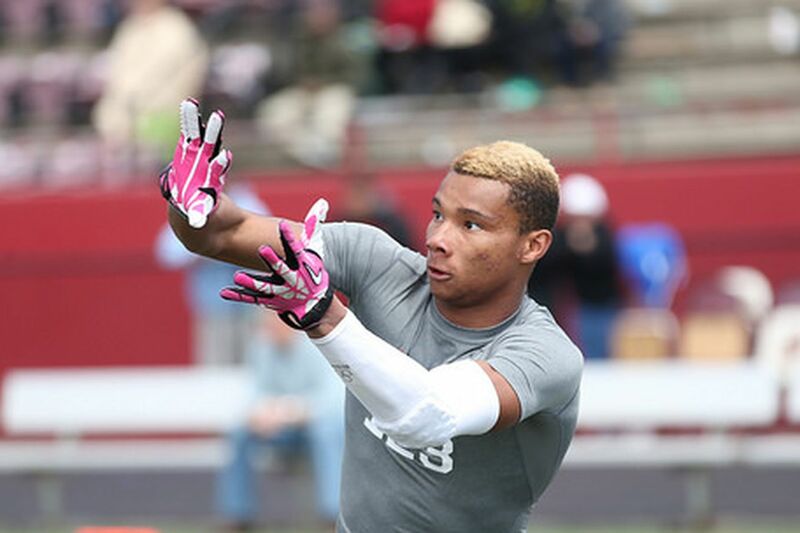 Shirts With Random Triangles: Cal Lands Five-Star WR Prospect Demetris Robertson For Its 2016 Recruiting Class. Robertson had previously committed to Alabama in April of 2014, but decommitted a year later. 247Sports grades Robertson as a five-star wide receiver. The recruiting site ranks Robertson at no. 1 among WR prospects for 2016, at no. 3 among 2016 prospects from the state of Georgia, and at no. 14 among 2017 prospects nationally. Robertson attends Savannah Christian Prepatory School in Savannah, Ga. He stands 5'11.75, and weighs 175 lbs. The addition of Robertson gives Cal 27 prospects in its 2016 recruiting class.